Emerging markets once presented the greatest political risks for multinationals, but the tables have turned. 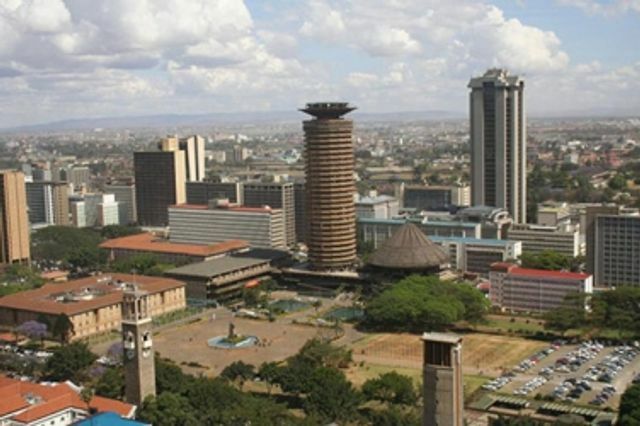 Kenya has felt this keenly, as British companies have drastically cut their investment to the East African nation since the Brexit referendum. Despite the dramatic push by China to finance Kenya's infrastructure, mining and energy, the United Kingdom remains Kenya's leading source of Foreign Direct Investment (FDI). The Jubilee-led government there has worked to diversify investment by creating Special Economic Zones (SEZs), broadening tax incentives beyond the traditional primary sector industries and utilising public private partnerships. But political risks, both global and local, weigh on the Kenyan economic outlook. Persistent uncertainty during Brexit negotiations, which have become fractious before they have even started, will likely continue to depress the UK economy and spook British businesses into maintaining a risk adverse position. Meanwhile, the prospect of rising US interest rates poses a risk to the shilling, while credit growth has slowed following the introduction of interest rate caps by the Kenyan government. The economic outlook is further complicated by the possibility of local turmoil ahead of elections in August. Wrangling over the electoral commission, a chaotic and occasionally violent primary process and power struggles within the governing and opposition alliances have raised the spectre of the violence that afflicted Kenya after polls in 2007. While commentators believe that another conflagration on that scale is unlikely this time, killings by Al-Shabaab and pastoralist herders have underlined the fragility of the security outlook. Kenya’s economic fundamentals are still among the strongest in Sub-Saharan Africa. It remains the second biggest destination for FDI in the region and has shown resilience in recent years, as GDP growth has consistently topped five percent. But the timetable of forthcoming political events, both at home and abroad, could depress FDI into the intermediate term. Foreign Direct Investment (FDI) and buying into Kenyan companies fell by more than half last year following turmoil in the United Kingdom after the Brexit vote. Audit and consulting firm Ernst and Young says in the 2017 Africa Attractiveness Report that FDI fell 57.9 per cent while capital investment was down 55.5 per cent in 2016 compared to 2015. “The slowdown was tied to economic strains in the UK, which was the key driver of 2015’s FDI flows,” said the firm.